(i) A vote for every man twenty-one years of age, of sound mind, and not undergoing punishment for a crime. 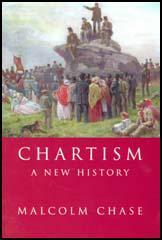 The main argument put forward by Chartist women was that their husbands should earn enough to support them and their children at home. 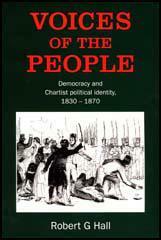 Female Chartists were concerned with women and children replacing men in factories. Three leading women chartists, Elizabeth Pease, Jane Smeal and Anne Knight, were all Quakers. 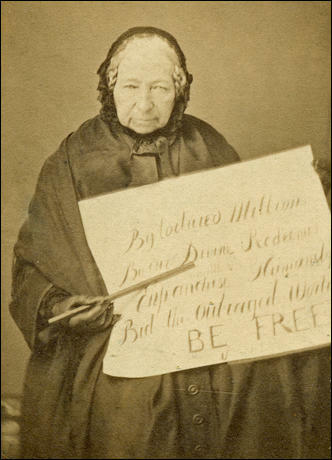 These women had also been involved in the anti-slavery campaign. Enfranchise Humanity, Bid the Outraged World, BE FREE". By John Simkin (john@spartacus-educational.com) © September 1997 (updated February 2017). 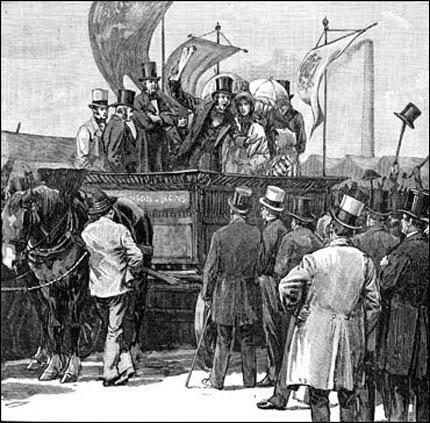 (1) To unite with our sisters in the country, and to use our best endeavours to assist our brethren in obtaining universal suffrage. (2) To aid each other in cases of great necessity or affliction. (3) To assist any of our friends who may be imprisoned for political offences. (4) To deal as much as possible with those shopkeepers who are favourable to the People's Charter. We have been told that the province of women is her home, and that the field of politics should be left to men; this we deny. It is not true that the interests of our fathers, husbands, and brothers, ought to be ours? If they are oppressed and impoverished, do we not share those evils with them? If so, ought we not to resent the infliction of those wrongs upon them? We have read the records of the past, and our hearts have responded to the historian's praise of those women, who struggled against tyranny and urged their countrymen to be free or die. For years we have struggled to maintain our homes in comfort, such as our hearts told us should greet our husbands after their fatiguing labours. Year after year has passed away, and even now our wishes have no prospect of being realised, our husbands are over-wrought, our houses half furnished, our families ill-fed, and our children uneducated. We are a despised caste; our oppressors are not content with despising our feelings, but demand the control of our thoughts and wants! We are oppressed because we are poor - the joys of life, the gladness of plenty, and the sympathies of nature, are not for us; the solace of our homes, the endearments of our children, and the sympathies of our kindred are denied us - and even in the grave our ashes are laid with disrespect. If a woman is qualified to be a queen over a great nation, armed with power of nullifying the powers of Parliament. If it is to be admissible that the queen, a woman, by the constitution of the country can command, can rule over a nation, then I say, women in every instance ought not to be excluded from her share in the executive and legislative power of the country. If women be subject to pains and penalties, on account of that infringement of any laws or laws - even unto death - in the name of common justice, she ought to have a voice in making the laws she is bound to obey. It is a most introvertive fact, that women contribute to the wealth and resources of the kingdom. Debased is the man who would say women have no right to interfere in politics, when it is evident, that they have as much right as a man. While we are compelled to share the misery of our fathers, our husbands, our brothers, and our lovers, we are determined to have a share in their struggles to be free, and to cheer them in their onward march for liberty. The She-Chartists mustered on Tuesday night in numbers stronger than usual at the "National Charter Hall", for the purpose of hearing a lecture upon the principles of liberty, delivered by Miss Inge. From the attendance on Tuesday there can be no doubt that She-Chartism is beginning to make its way among the helpmates of Feargus O'Connor. Miss Emma Matilda Miles, rather a pretty looking little creature, of some two or three and twenty, and the she-orator rose amidst vociferous cheers to "offer a few remarks". It was the duty of women to step forth, and, in all the majesty of her native dignity, assist her brother slaves in effecting the political redemption of the country. It was not ambition, it was not vanity that induced her to become a public woman; no, it was the oppression which had fallen upon every poor man's house that made her speak. 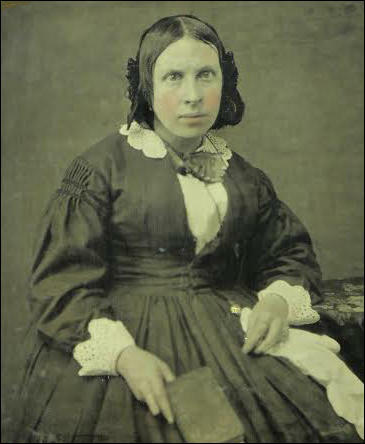 For herself she would say that ever since the prosecution at Newport of the noble martyrs of Chartism, Frost, Williams and Jones, she had determined to fraternize with the Chartists till the blood should cease to flow in her veins. She did not doubt the ultimate success of Chartism any more than she doubted her own existence; but then it would not, as she said, be granted by the justice - no, it must be extorted from the fears of their oppressors. I believe there are few persons whose natural feelings are so opposed to women appearing prominently before the public, as mine - but viewed in the light of principle I see, the prejudice - custom and other feelings which will not stand the test of truth, are at the bottom, and must be laid aside. The grand principle of the natural equality of man - a principle alas almost buried, in the land, beneath the rubbish of an hereditary aristocracy and the force of a state religion. Working people are driven almost to desperation by those who consider they are but chattels made to minister to their luxury and add to their wealth. As civilisation advances man becomes more inclined to place woman on an equality with himself, and though excluded from everything connected with public life, her condition is considerably improved... Assist those men who will, nay, who do, place women in on equality with themselves in gaining their rights, and yours will be gained also. I wish the talented philanthropists in England would come forward in this critical juncture of our nation's affairs and insist on the right of suffrage for all men and women unstained with crime... in order that all may have a voice in the affairs of their country... Never will the nations of the earth be well governed until both sexes, as well as all parties, are fully represented, and have an influence, a voice, and a hand in the enactment and administration of the laws. It is justice that we demand for all who bear their share in the burdens of the State, and who does not pay taxes in this miserably tax-ground country? Is she exempt whose part it is to work 18 hours out of 24, to sleep little, and to be too much worn with labour to think.